Nov 9th, 2015: Version 1 of the Notification Extension released for App Inventor version ai2extensions5 and Companion version 235.cdk1. 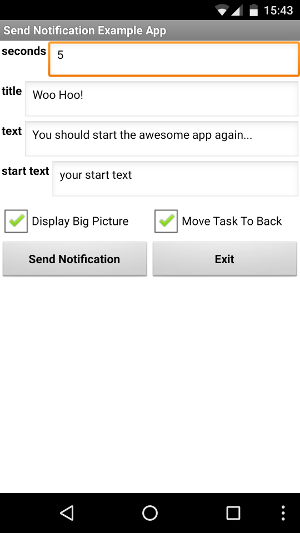 Send a notification in n seconds with the corresponding title and text. After restarting the app, you can get the start text from the 'plain start text' block in App Inventor. As you know, App Inventor apps have some restrictions. Which means for the Notification extension: the app must be still running (at least in the background) to be able to send a notification after n seconds. As far as I can see, it is not possible to use a custom small icon for the notification, we will have to use one of the default icons. I'm currently using ic_dialog_info, see also Android Drawables. To use a custom small icon will be possible starting from Api Level 23 (Android 6). However the max. API Level currently for extensions is API Level 22, so unfortunately that's not possible at this time. The notification does not show up on devices with the MIUI firmware. Thank you Amit for letting me know. Returns whether Notification Sound should be suppressed. Specifies whether Notification Sound should be suppressed. Returns whether big picture should be displayed in Notification. 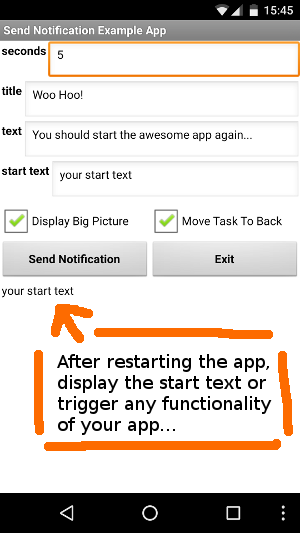 Specifies whether big picture should be displayed in Notification. Returns whether click onto notification should be ignored. Specifies whether click onto notification should be ignored. Move task (i.e. the app) to the background. 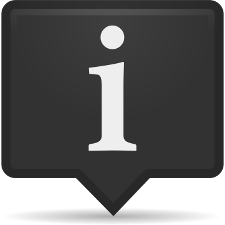 Send a notifacation in n seconds with the corresponding title and text. After restarting the app, you can get the start text from the 'plain start text' block in App Inventor. Tested successfully on Nexus 5X running Android 7.1.1, Nexus 5 running Android 6 and Samsung Galaxy Tab 10.1N running Android 4.0.4. 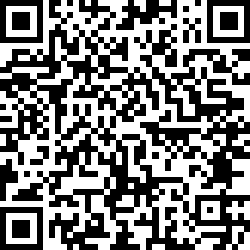 For older Android devices (at least on HTC Desire S running Android 2.3.5) the app could not be terminated before starting it again, which means in this case the start text can't be displayed. 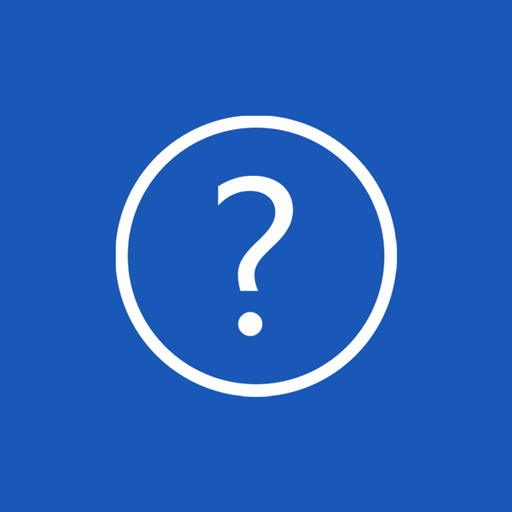 Q1: If the application is closed with the home button it works but if it is closed with the back button it doesn't work, can you help me? A: As workaround just disable the back button, i.e. move an empty Screen.BackPressed event into the working area. 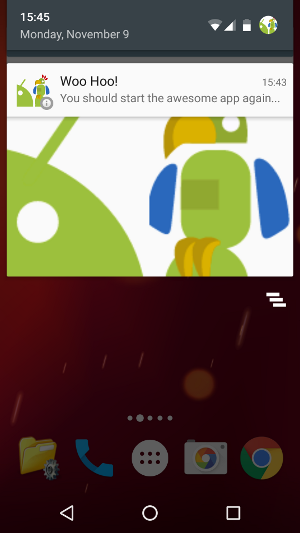 Q2: Is it possible to display the defined icon also in the notification area? A: In the notification area for the extension it is only possible to display Android Default icons and I have chosen the icon ic_dialog_info. As soon as it is possible to use Android 6 features in extensions, then this could be modified. The icon you specified will be displayed in the notification drawer, see also chapter "notification style options" above. Q3: When I press the notification on my bar, it opens my Screen1 which is my login screen. How can I change to other than Screen1? 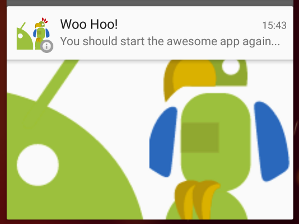 if get plain start text = "Screen2" then open another screen "Screen2"
Q4: I'm making an app for school and was wondering if I had to give you credit at all in my app for using your notification extension? A: Why it's a good idea to give credit: How to Cite Sources & Not Steal People's Content on the Internet by Corey Wainwright. Q5:I have a good idea for your notification extension. I think when people open the app (switch to foreground operation), the message in the notification bar will disappear automatically. Do you think is this feasible? Q6: TaifunNotification from Pura Vida Apps works great on all my devices exept on my new S9 (Android version 8.0.0) Any ideas why not?